Wild strawberries can be found in the fields and in woodlands. They are natures sweet little treats that appeal to many. 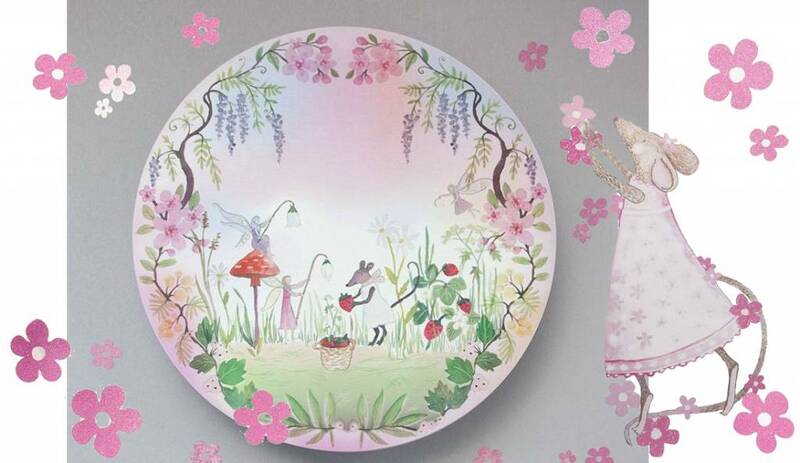 Did you know there is a little mouse in a sweet pink dress that loves to pick them in a special place in the Fairy forest. That is where she meets her fairy friends and they sing some night time lullabies. When it becomes dark the light can be switched on and the fairy forest comes alive. You will find lanterns in the trees and and tiny fireflies dance in the sky. Light fairies sprinkle their fairy dust. It is almost like a little party in the forest. 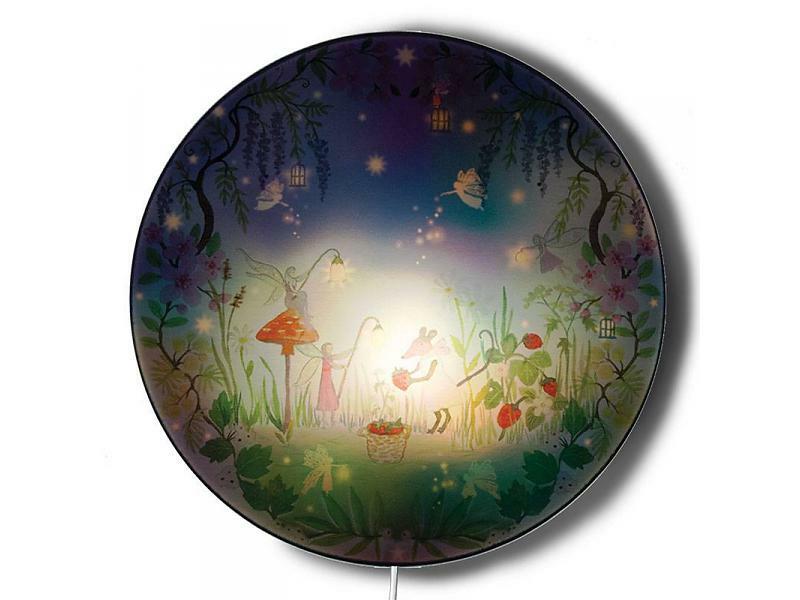 The Fairy Forest wall lamp is a sweet scenery to float off in sweet dreams of fairies and tasty red strawberries. With the flowers during the day and twinkling lights at night it makes a lovely wall lamp for a girls nursery or bedroom.